If you have not seen the news yet, the US Supreme Court provided a ruling on June 27, 2018 regarding the decades-long conflict between Florida and Georgia over water use in the Apalachicola-Chattahoochee-Flint tri-state river basin. Guess what; the battle continues. Following the previous findings of the court-appointed Special Master and his recommendation to deny Florida relief in the dispute, there were many disappointed people south of the border between the two states. The recent decision to remand the case back to the Special Master for further consideration has taken many by surprise; happy surprise south of the border and not so happy as you look northward (unless you talk to the attorneys litigating the case, maybe). The resulting decision kept Florida’s hopes alive for an equitable allocation of water resources in the basin that spans nearly 20,000 square miles of the Southeastern US. At stake, from Florida’s perspective, is the productivity and ecosystem integrity of the Apalachicola River and Bay ecosystem. For Georgia, enough water to supply its growing population and thirsty agricultural interests in the Flint River Basin south of Atlanta. The Court’s opinion does not actually outline any specific solutions for the water battle, and it in no way guarantees a win for Florida, but it does keep the legal challenge alive – along with the hope of better days for Florida’s oyster industry, which has suffered a major fisheries collapse that began around 2012. Visit this link if you would like to read the syllabus, as well as the full opinion of the High Court. We should all consider the magnitude of the importance of the Apalachicola River and Bay for our region, due to its connection to the larger Gulf of Mexico. Estuaries like this are crucial links in the life-stages of countless marine organisms, including many we depend on for food and recreation. Blue crabs migrate tremendous distances to spawn in our near shore estuaries. Their young then disperse to populate large areas of coastline. Post-larval shrimp move into our estuaries to grow up after being spawned offshore. Later they swim out as adults to begin the cycle again. It is no wonder the shorelines of our Florida estuaries are dotted with prehistoric shell middens from peoples who thrived near these resource-rich ecosystems. Who knows if the Apalachicola Bay will ever recover to the productivity of its glory days, when a hard-working person could harvest 20 bags of oysters in a day? 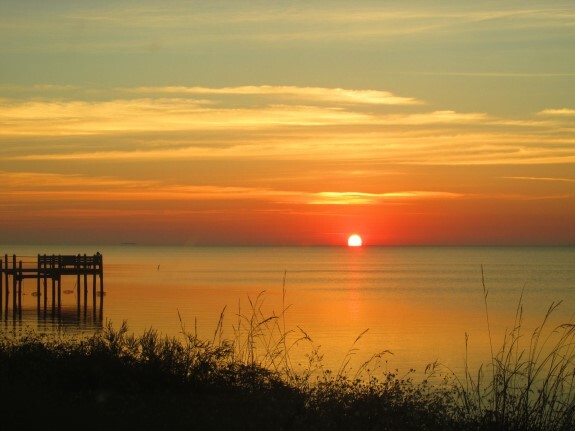 Regardless, we should all be thankful for what Apalachicola Bay has meant to so many generations of people over such a wide expanse of our Northern Gulf of Mexico coastline. Take just a moment to think about it, please.